How do budget-friendly discounters compare with heavyweight brands? Aldi is the nation’s favourite supermarket for 2018, according to exclusive Which? research. 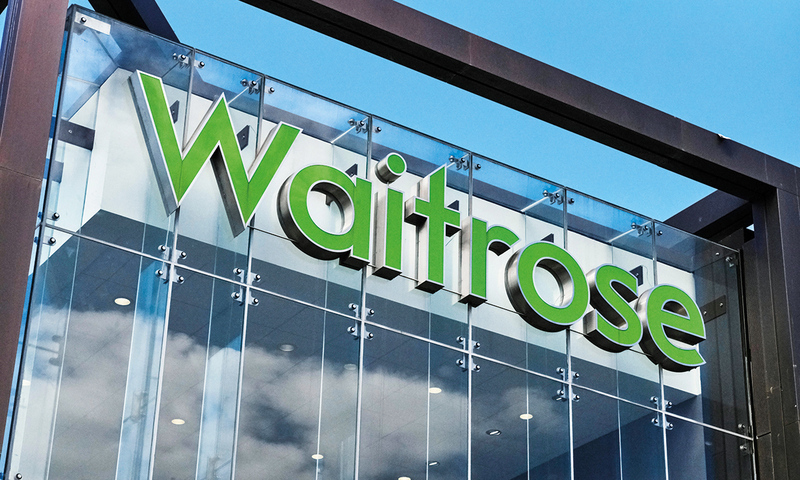 The budget retailer has knocked Waitrose from the top spot, which it held for three years. 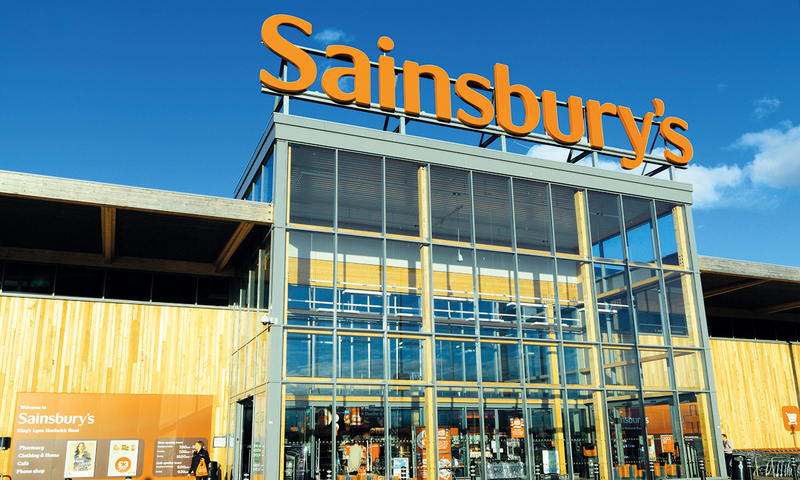 Sainsbury’s finished in last position, with the least-satisfied in-store customers overall. Asda, Morrisons and Tesco, the other three largest supermarkets, complete the bottom half of the rankings. 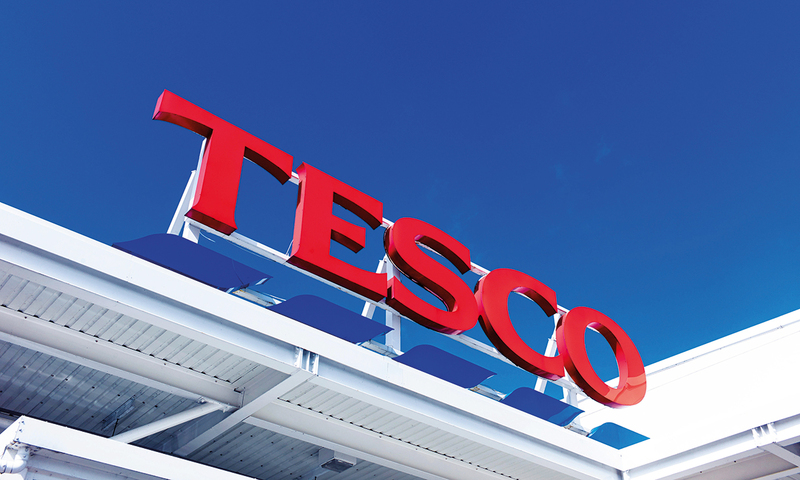 The results come as rumours circulate that Tesco may be planning to launch a new rival to discount stores – scroll down to find out more. Meanwhile, premium supermarket M&S was rated second best by in-store shoppers, with Lidl taking third place. Which? surveyed 6,800 members of the general public in October 2017 about their experience of shopping for groceries in large supermarkets, convenience stores and online. 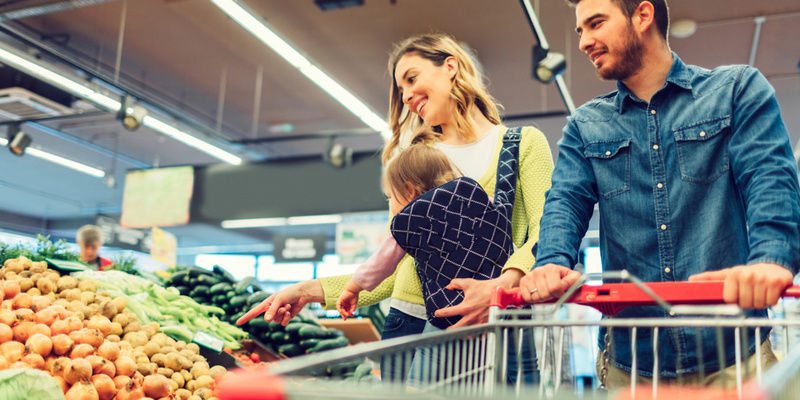 Read on to find out how retailers stack up against each other, or head to our guide to supermarkets compared for more details. Nine major supermarkets are included in our in-store rankings. Customers rated their experience of shopping with them in the past six months, on aspects including range of products, quality of both fresh and own-label products, store appearance, queuing time and value for money. To calculate customer scores, we asked people how happy they were with their supermarket, and whether they would recommend it to a friend. 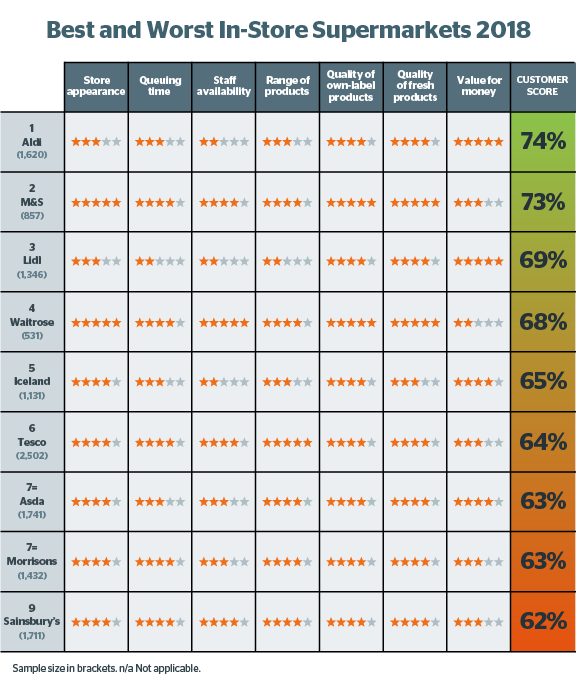 The table below shows how supermarkets compare for in-store customers. We asked online shoppers slightly different questions – scroll down for the online results. 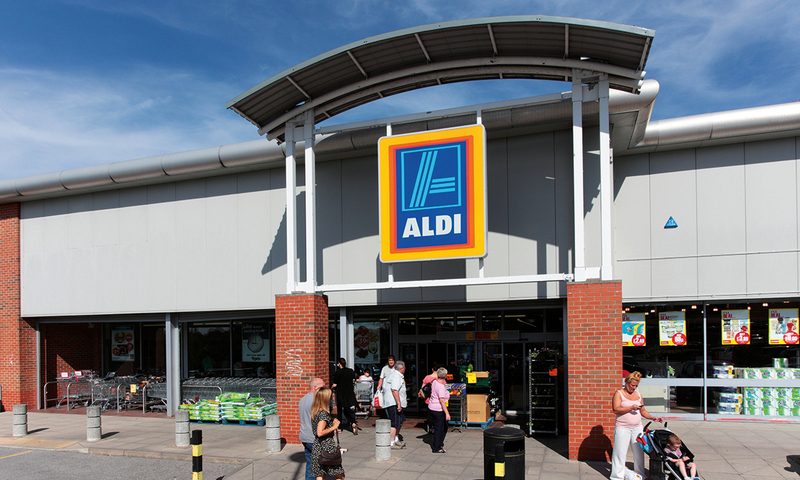 Aldi’s value for money and top-quality products make it the UK’s favourite supermarket. Only it and third-placed Lidl scored five stars for value for money, according to their customers. Both discounters were also rated well for the quality of both their fresh and own-label products. However, Aldi and Lidl both also scored just two or three stars – equivalent to a ‘poor’ or ‘OK’ rating from their customers – for staff availability, queuing time, range of products and store appearance. Waitrose and M&S, in contrast, scored four or five stars on those aspects. Although it ranked fourth overall, Waitrose got five-star ratings in the most categories. It was the only store that customers gave five stars for staff availability – but it also got the lowest rating for value for money. When it comes to satisfaction, customers seem to be prioritising price over in-store experience. Price also seems to be driving popularity; Aldi and Lidl now account for nearly £1 in every £8 spent in Britain’s supermarkets. A decade ago, this was £1 in every £25. 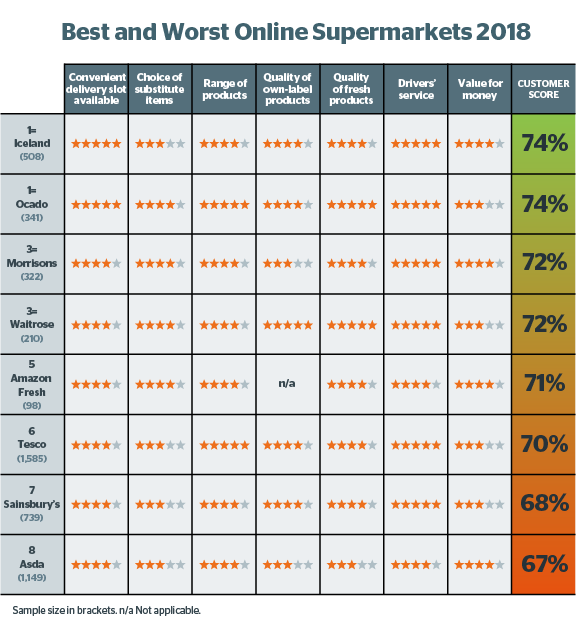 Sainsbury’s came last for shopping in-store, although it didn’t score poorly in any particular area. Customers are left feeling uninspired, according to our survey, with one shopper telling us it was ‘slightly dull-looking, but reliable’. This is also true of the other ‘big four’ supermarkets – Asda, Morrisons and Tesco. All get three or more stars in every category we asked customers about, but they sit together at the bottom of the table, meaning customers don’t feel particularly satisfied with them. Tesco was the only one of the four to get a five-star rating – for its range of products. According to reports from The Sunday Times on 11 February, Tesco is alleged to be planning a new stand-alone discount brand to take on Lidl and Aldi. The newspaper speculates that Tesco is working on a ‘secret plan for a new discount grocery chain’ to take on the growing German discounters Lidl and Aldi. It ‘would match [Lidl and Aldi] on price, and offer a far more limited range of products.’ When asked for comment, Tesco told Which? it would not comment on rumours and speculation. If the rumours are true, it could completely shake up our ranking of the UK’s supermarket brands in years to come. Watch this space. How does online shopping compare? Our survey also asked customers to rate their experience of online supermarket shopping – and the results are quite different. Iceland ranked mid-table for in-store shopping, but finished joint-top (along with online-only Ocado) for online grocery shoppers. It’s the second time in a row that Iceland has topped our online table. Customers love its friendly delivery drivers and delivery slots that are convenient and available. Joint-top Ocado’s customers also praise its friendly drivers and convenient slots, plus the quality of fresh products and its range. 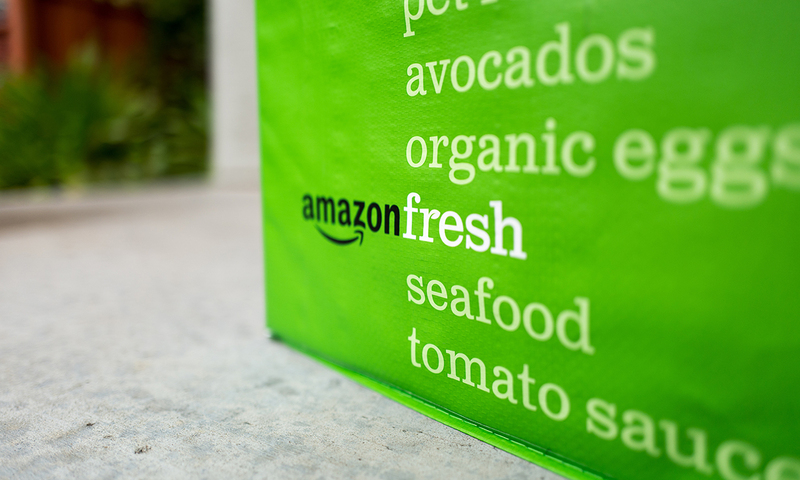 Amazon Fresh, the other online-only brand in our survey, is rated well – but not brilliantly – by its customers. Shoppers like its drivers’ service but didn’t rate it well for punctuality. Only seven in ten customers said that their most recent delivery arrived on time. Amazon Fresh only delivers to certain postcodes in the south-east of England at present. Asda sits at the bottom of the table, where it has been for more than a decade. Customers are unimpressed by the quality of its fresh and own-label products, and the items it chooses as substitutes when the things you’ve ordered are out of stock. As with in-store, Sainsbury’s and Tesco also finished near the bottom of the table. Morrisons does better, in joint-third place. Customers gave its drivers rave reviews, although it was worst for the punctuality of its deliveries. 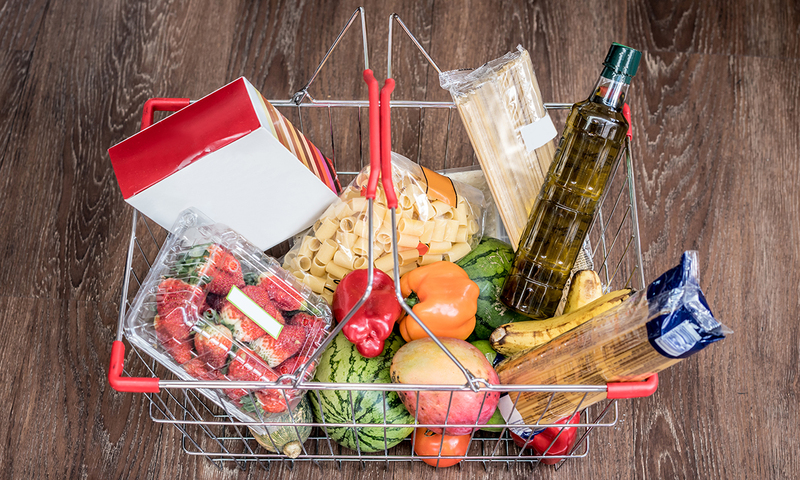 In a year dominated by rising food costs, we crunch the numbers every month to find out which supermarket is cheapest for a basket of groceries. Our exclusive analysis includes all the items you need, from bread to toothpaste, and includes brands such as Andrex, Heinz, Lurpak and Warburtons. Find out which supermarket was cheapest in 2017 in our supermarket price comparison. Plus, we keep an eye on the prices of products we’ve rated Best Buys from supermarkets. See our Best Buy supermarket offers to find out if you can bag a bargain on the best. Updated 12/02/2018 to include details of Tesco’s rumoured plans to launch a new brand to rival Aldi and Lidl.